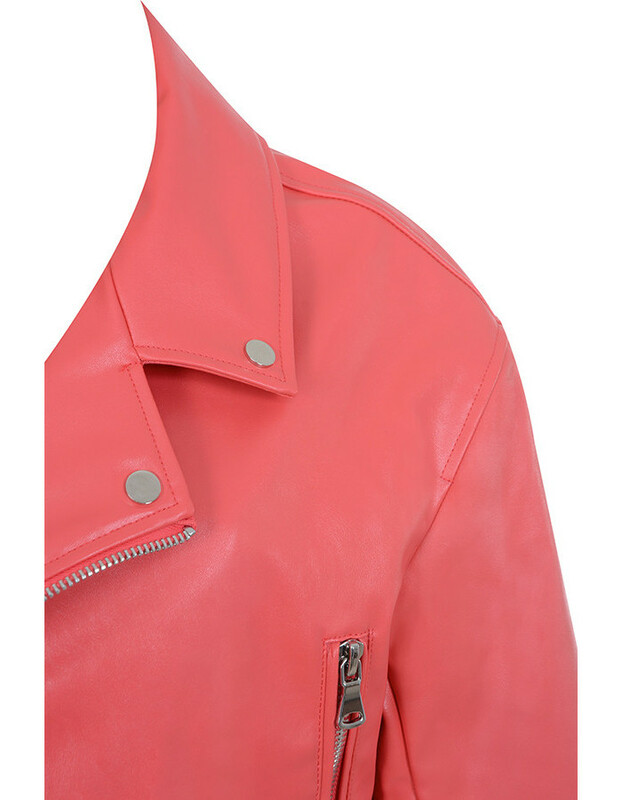 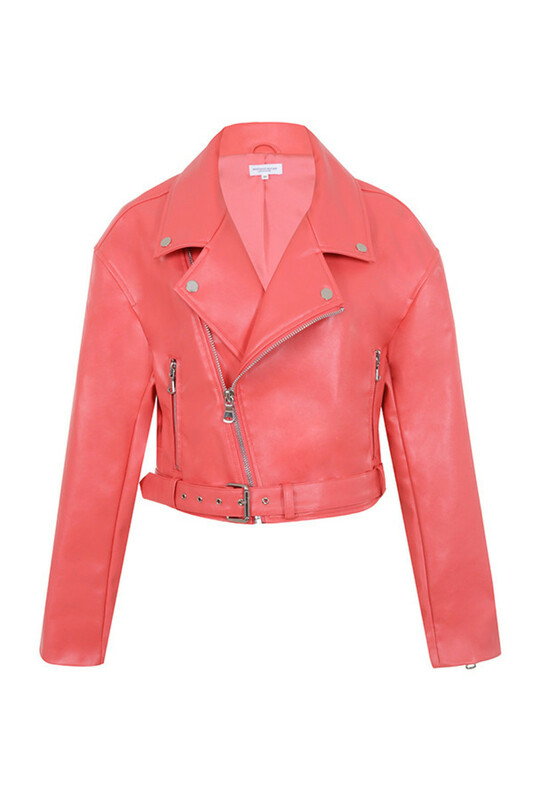 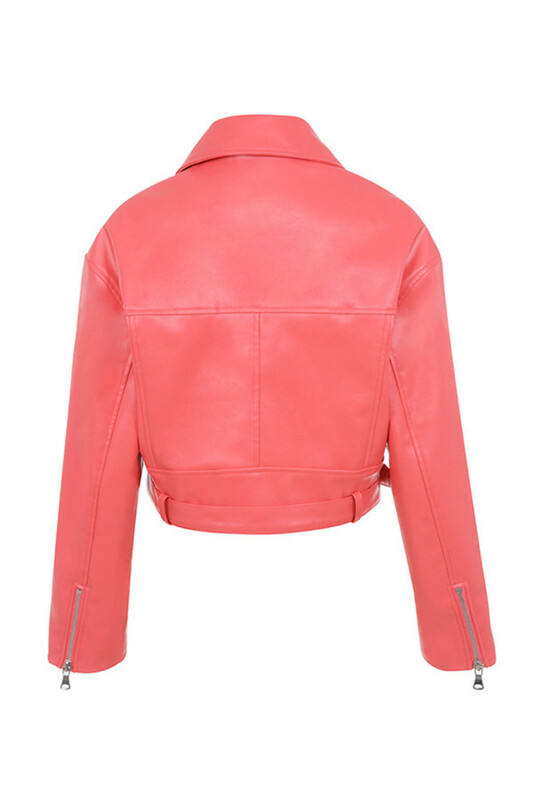 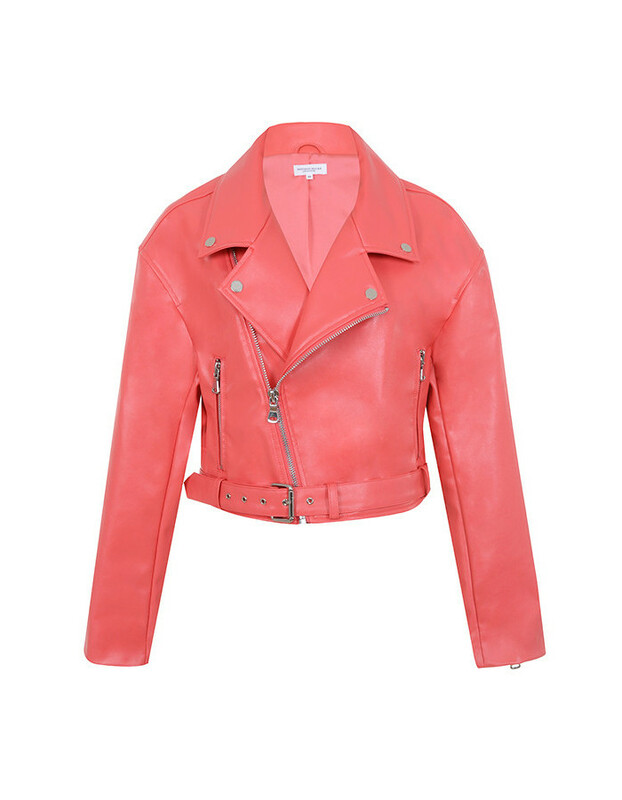 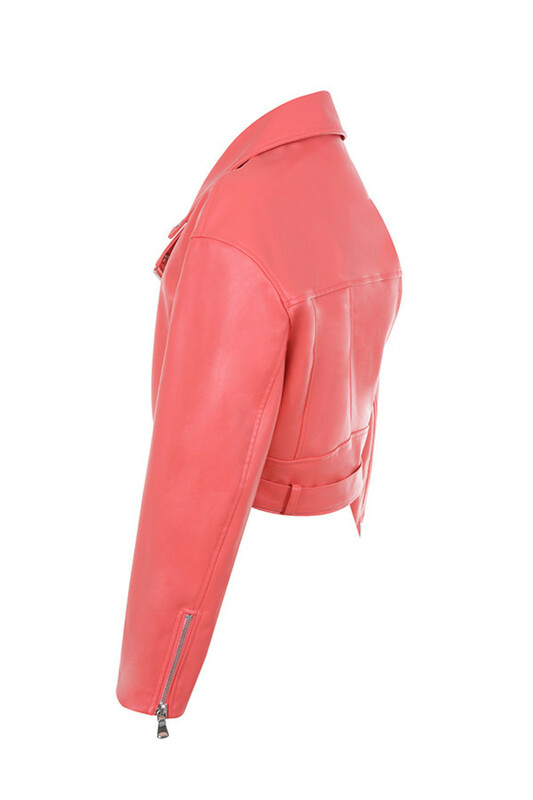 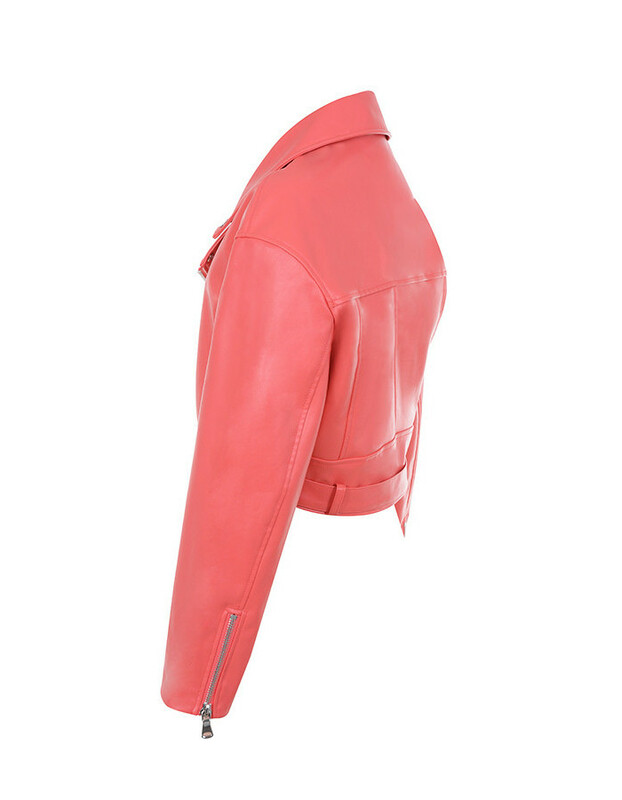 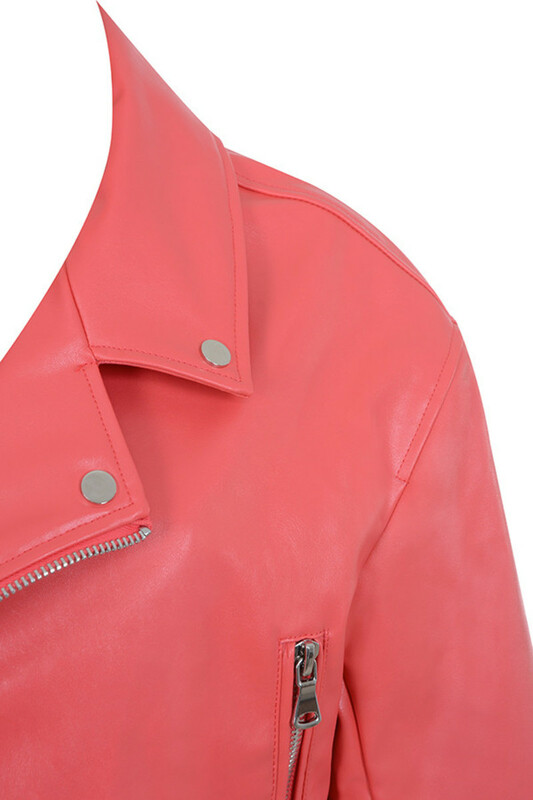 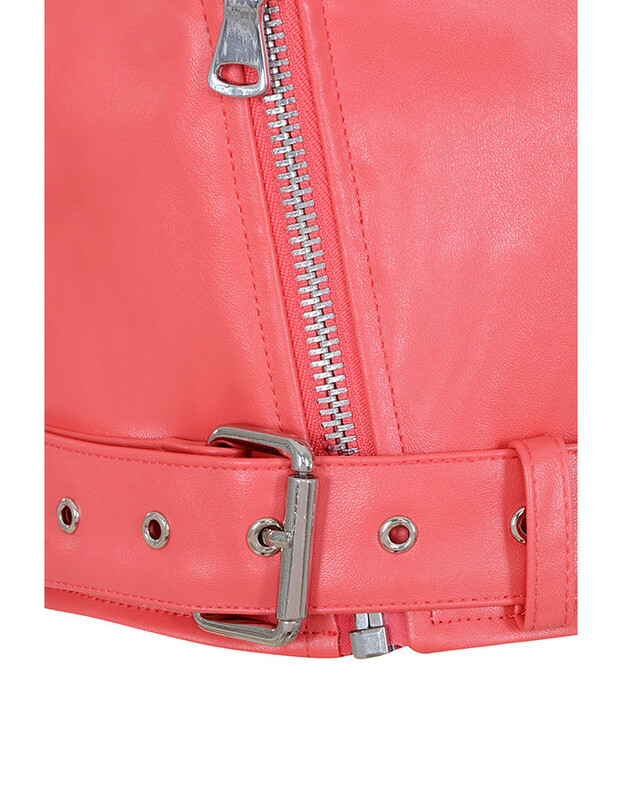 Tropical hues and classic biker styling is what 'Scorch' is all about. 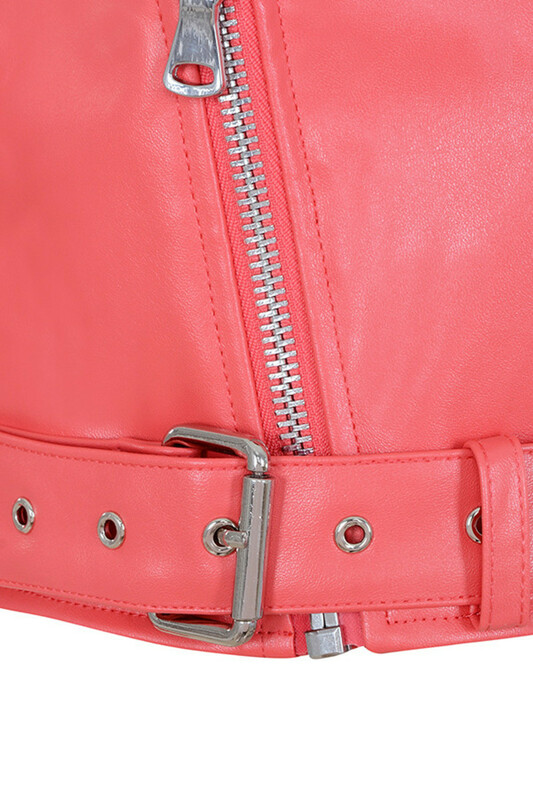 Made from a soft vegan leather and lined for comfort and a great fit, 'Scorch' has classic biker details. 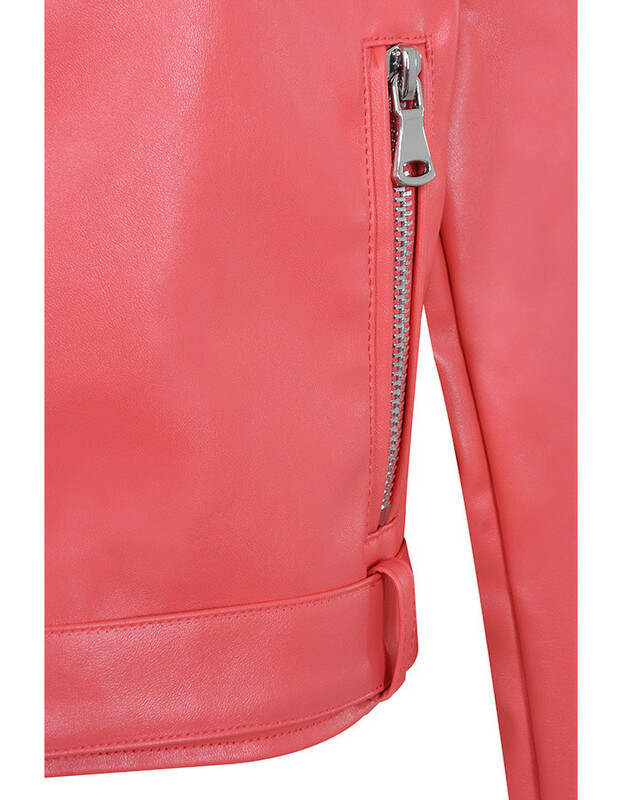 Long sleeves, double lapels, front zipper and lots of zip details. 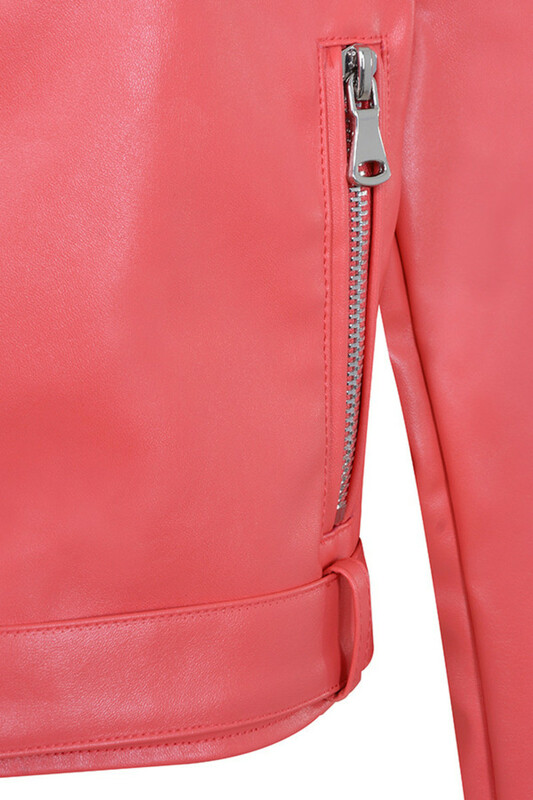 Wear yours over a silky slip dress.